This piece of wood came from Jonathon, my friend over at Ancient Arborist, it was one of the first pieces I got from him. When he brought it in, nobody else wanted it. 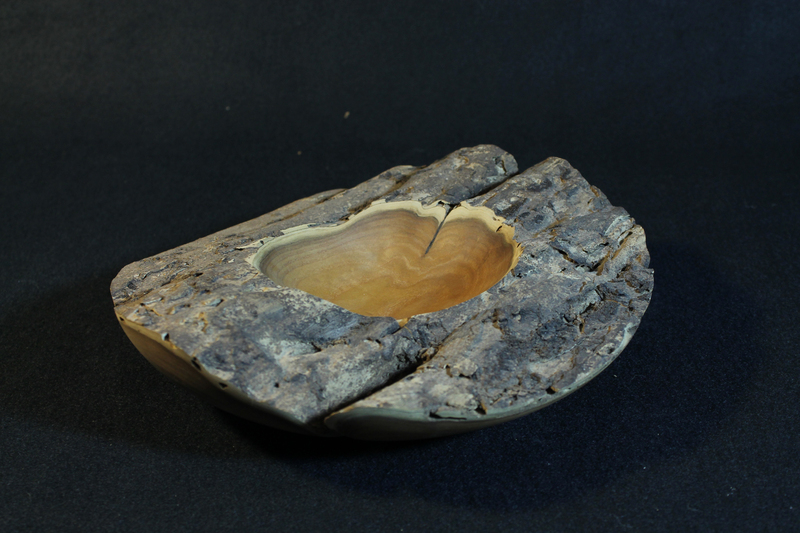 Everyone else said it was too shallow, the wood wasn’t in the best shape, and those are the challenges I really look for as a woodturner–the woods that nobody else wants. Instead of doing a normal natural edge bowl, I did it super thick, I left a three inch rim around it to really to show-off the bark detail of what a Russian Olive tree looks like. Doing a thinner natural edge, you wouldn’t have gotten that feel for how rough and rugged a Russian olive tree is, that’s what I wanted to get across: The beauty of nature. I didn’t do much to it, I put a little curve in it but I let the tree do all the talking. So what do you think? As always, any comments, questions or suggestions are welcome.